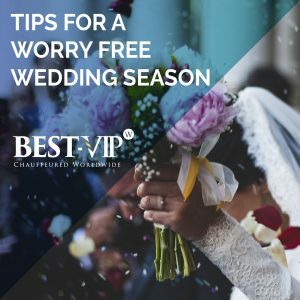 Picking a dress or wedding venue prior to establishing financial parameters is a lot like shopping without glancing at price tags and then strolling up to check out with your fingers crossed. You risk falling for a gown or location that breaks your heart when you realize that to afford it, you’d have to cut your guest list in half—or cancel the honeymoon. Be honest with yourself and fiancé about what you can afford, do some research on what approximate costs would be for your non-negotiable items, set a budget and stick to it. Don’t forget to account for items like favors, wedding party transportation, accommodation, invitations and day of services. More often than not, unexpected costs occur throughout the process and it’s important to prepare yourself and save extra, just in case! Location is everything! Southern California offers so many options as the back drop to your big day. It’s important to scout venues before settling on a date, mostly due to availability and sometimes the costs associated with the time of year! If you are envisioning an outdoor wedding, the summer and early fall months would be best, however if you’re interested in an indoor setting, any time of year could work. Some of our partners include the top resorts in Southern California like the Ritz Carlton, The Montage, The Pasea, and Monarch Beach Resort. All hotels and resorts offer luxury ballrooms, gorgeous grounds for outdoor options and ample rooms to accommodate visiting guests! Nothing makes your day as special as being surrounded by the people you love and respect the most, to celebrate this milestone moment. When it comes to choosing guests, it can be overwhelming, let alone choosing the select few who will stand by your side. Remember there are no rules, choose responsible party members, and don’t ask someone just because they asked you. It’s your day and who you’re surrounded by reflects you and your loved one. Wedding Party Transportation for Everyone! With so many details to attend to on your day, don’t let transportation slip through the cracks! You’ll want to make transportation easy on your guests and you won’t want anyone arriving late and missing any part of your ceremony. BEST-VIP offers luxurious and comfortable travel that your guests will be sure to enjoy and will ensure they arrive on time so they don’t miss a moment. BEST-VIP offers our palatial motorcoaches, all of which include six 10” LCD Overhead Monitors, iPod connectors and reading lights for their entertainment pleasure while in route to your ceremony. To keep them comfortable, each luxury coach bus has comfortable seating, foot rests, and personal window shades. Needing a private car for you and your future spouse? BEST-VIP has an assortment of luxury sedans to choose from. Every Lincoln, Cadillac and Mercedes sedan include black leather interior and tinted windows for your private transportation, large trunk space for your luggage, and passenger rear controls for ultimate comfort.